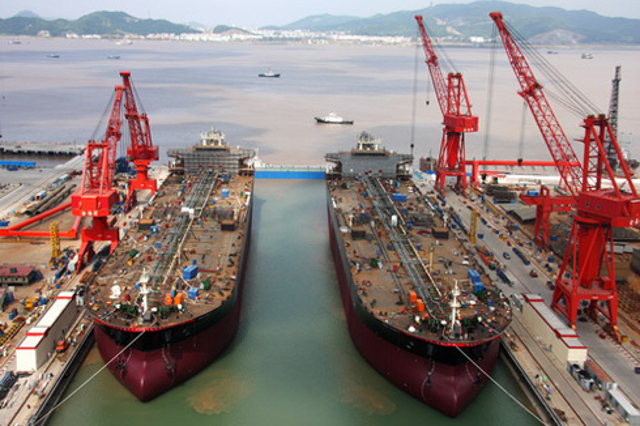 COSCO (Zhoushan) Shipyard Co., Ltd, a subsidiary of COSCO's 51% owned COSCO Shipyard Group Co., Ltd, has delivered a 111,000 DWT tanker FRONT OCELOT, to its European Buyer. The delivery documents were signed by and between COSCO Zhoushan and the buyer recently. Registry data indicate that the Marshall Islands-flagged vessel is owned by Front Aphrodite Inc, a shipowning arm of Frontline, and will be operated by SeaTeam Management Pte Ltd. The vessel measures 252 meters in LOA (length of all), 44 meters in breadth and 21 meters in depth.